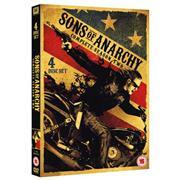 Below is a list of retailers and how much you can buy Sons of Anarchy - Season 2 DVD for. The prices include the cost of postage. Click on one of the retailer's names to go to that merchant's web site. Clicking on a link does not commit you to buying anything.